At the beginning, the garage was a place to keep the horses and your sweet carriage. The ancient Romans had whole buildings dedicated to storing chariots and wagons of all sorts. Fast forward to the 21st century and the garage is a whole lot different than the humble beginnings from which it originated. 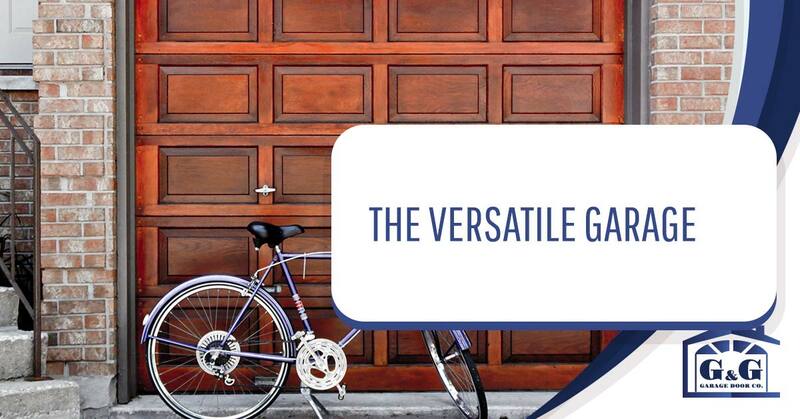 At G&G Garage Door we want to bring your garage door into the new century. You have the smart home, light bulbs you can turn on from Bolivia, a piece of talking plastic that will order you more toilet paper when you tell it to and a TV that automatically records all of your favorite shows. But your garage door looks like 1990, peeling paint, latch falling off, squeaky rollers, it has clearly seen better days. While it is common to focus on the cool technological gadgets inside of your home, your garage door is something that should not be neglected. 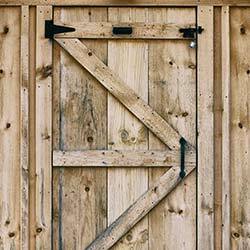 We specialize in openers, custom garage doors and garage door service. 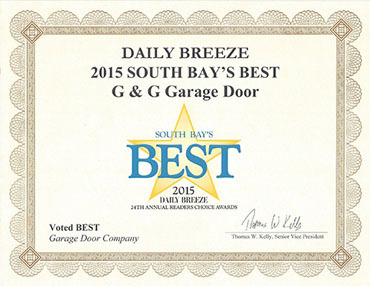 In fact, we have been serving the garage door needs of Los Angeles for the last 30 years. Not quite as long as the garage has been around, but in that time we have become your local experts and assisted thousands of customers. So without further ado, let’s look at some interesting facts and history of the garage. In olden times, back when fast food meant catching a rabbit, cultures that had invented the wheel shifted from a primarily nomadic lifestyle to a more settled existence. It makes perfect sense if you think about it, build a wagon and fill it with stuff, eventually you get tired of hauling around all of your junk and decide to camp by the inviting river. Soon, the in-laws have moved in next door and the HOA wants you to move your wagon off the lawn. Organized society gave rise to paved roads, taxes, and architecture. Somewhere in there the garage was invented, but not how we know it today. Garages evolved from what was known as a carriage house, not necessarily a barn, but a place to keep your wagon and tack for the horses or mules. These little sheds protected the family carriage from the elements and evolved from a simple storage solution into a fixture of architecture. Through the majority of time the main way people got around was through either riding some sort of beast or walking. The automobile changed all that, and gave birth to the age where camels were not just for transportation. Back in the early days of the automobile, they were quite expensive and did not have keys, while a horse could potentially resist being stolen, an early car would simply disappear. This led to the carriage house being utilized as automobile storage and the wagon was (legally) parked on the front lawn as a decorative showpiece. Once cars were being stored indoors, garages became a focal point of the home. This was mainly due to the fact that they needed to be warmed up and constantly maintained. The carriage house became the garage and now they are an integral part of almost every home. About the time the first car was outfitted with real keys, the first box of christmas lights was stashed in the corner of an early attached garage. It started innocently enough, just one box of lights and maybe a few old baby clothes. The household storage slowly crept in and eventually, there was no room in the garage for the car. We all know how that works. Sometime after the 1970’s many garages became storage. Have you ever squeezed between boxes of household goods to get into your car, only to notice your neighbor struggling to navigate his stuffed three car garage? Of course you have. You may have even said, “I promise I will clean out the garage next weekend.” Only to vow the same thing next year. The modern garage is the most versatile space in your home, regardless of whether you are utilizing it for storage or to park your electric car. Regardless of your garages purpose, if it is not secure, it gives the highwaymen a way to get into your home. That and all of the important stuff you have stored inside of your garage is a risk. After all, if it were not important you would have already thrown it away, right? Right? Anyway if your garage door is a piece of junk your entire world is at risk. (Maybe not that bad, but it’s bad okay?) 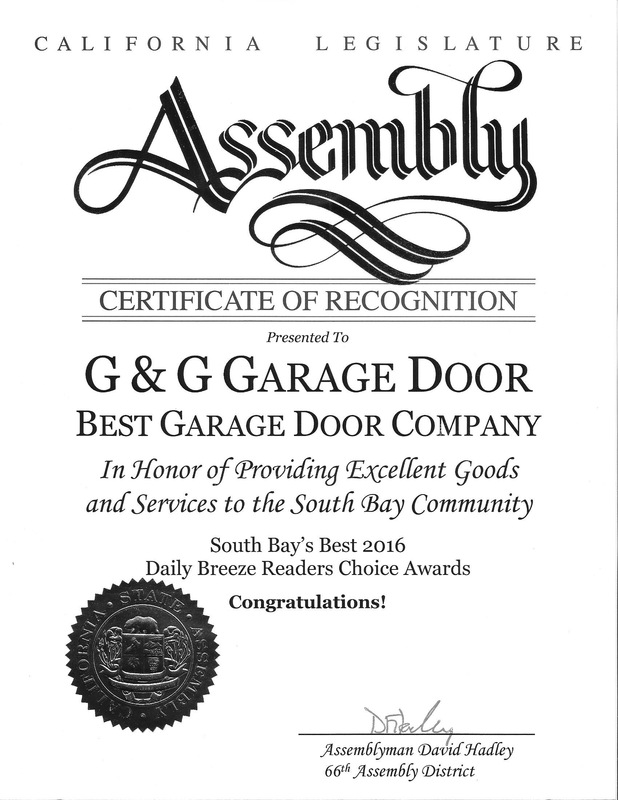 If you want to protect your stuff and your 86 Ford Fiesta from harm and danger, it is critical to contact G&G Garage Door for garage door service, repair and installation. We have a huge variety of styles, materials, and designs to compliment your home no matter what your architectural style. We can even design and install a fully custom door that will make your home the king of curb appeal. No longer will the pizza guy drive past without noticing your house, not with that incredible garage door. 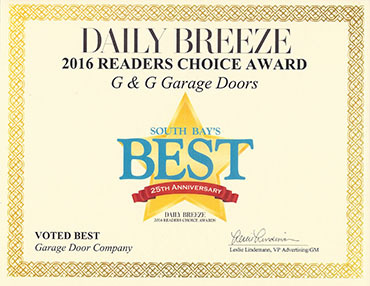 So if you need to breathe a breath of fresh air into your garage, or simply cannot close it anymore, please do not hesitate to contact your local opener and garage door experts at G&G Garage Door for all of your needs. We look forward to hearing from you and look forward to serving the community for another 30 years.